Home›Fashion- Life Style›Dress-Cloths›How does a Daily Deal T - Shirt website choose its designs? In the last few years many websites have come up which offer exclusive, limited edition, artist designed t shirts to buyers at very attractive prices. These websites cater to a niche of tee shirt buyers who are looking to buy something which expresses their individuality and their opinions, and are off beat, whacky, humorous and makes them stand out in the crowd. The buyers from these websites are looking for t shirts where the design is the pre-dominant point of attraction, and not the brand name or the company. These buyers also want these t shirts to be priced attractively. Hence, many websites like CaptainKyso offer a daily deal on the t shirts, where in a new t shirt is released every day and sold at an attractive deal rate for 24 hours. 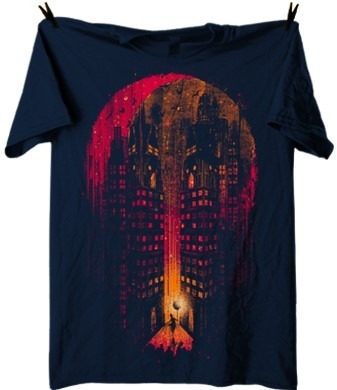 So, the question which comes to mind is, how does the design curation team at daily deal t shirt websites, choose the t shirts that they manufacture? Today, there is a very large online community of t shirt designers and artists who give licenses of their artwork and designs to these websites in return for royalties and / or flat upfront payments. These designers usually have their portfolios online in the form of websites, blogs oronline artist community accounts. 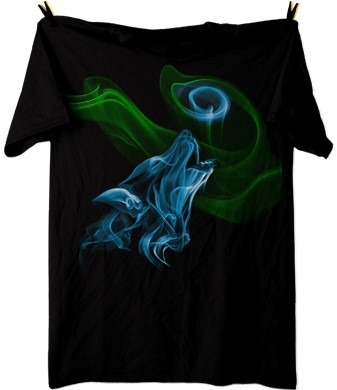 Hence the t shirt websites have a large selection of designs that they can choose from. So how do they choose which ones to print and which ones to stay away from? I am sure that different websites have different criteria in this regard. The foremost objective in most design curators’ minds is obviously saleability. Hence most websites tend to print designs that have an instant connect with the audience. And what better way to connect to the audience than through Pop Culture references. 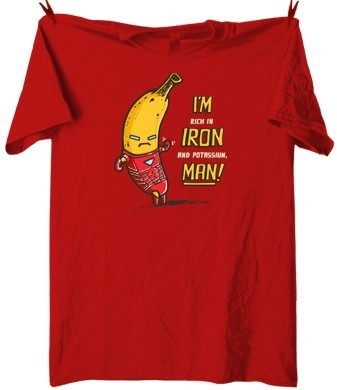 Hence t shirt websites usually tend to have a large selection of designs that have implicit or explicit references to popular movies (Star Wars, Various Superheroes like SuperMan, Avengers etc. ), Books (Game of Thrones), Video Games (Minefield, Super Mario) or TV Shows (Big Bang Theory, Friends). Of course many a times there is a thin line between original art and copyright and intellectual property violations. We have a bit of a different approach to design selection. 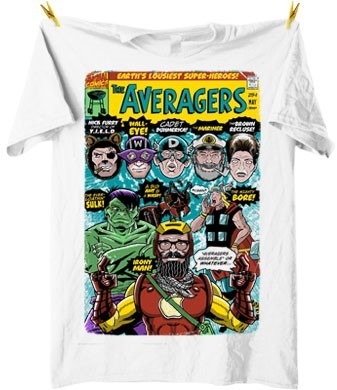 While we do have a few t shirts that are based on Pop Culture (The very popular Avengers themed t shirt titles ‘The Averagers’ or the really funny ‘Tony goes Bananas’ tee inspired by Iron Man comics or even ‘The Fog’ inspired by The Pirates of the Caribbean series), our designs are not restricted to Pop Culture. The designs have to look good (or great) on a t shirt. This is the foremost criteria that we follow. This tends to make many designs unprintable even though they have a great meaning / idea / punch line. Ultimately, our buyers may love an idea, but they will not buy t shirts that don’t look good. Many artists tend to get surprised at our selection of their designs, because they feel that other t shirts that they have designed are better in terms of their ideas or meanings. We love t shirt designs that have a sense of humour. Most of the designs of t-shirts would make you laugh the moment you saw them. This does not necessarily mean Slap Stick or In Your Face humour. 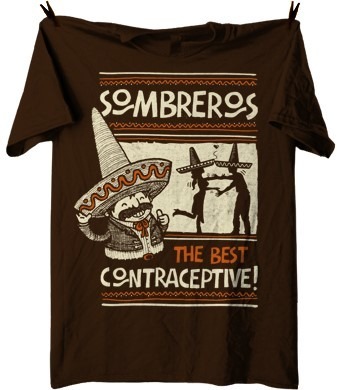 Many a times the joke is extremely subtle (‘No One Understands Me’, ‘Famous Snuggie Wearers throughout History’) or even from a culture alien to the Target Audience (‘Sombreros – The Best Contraceptive’). But we go by the principle that a great joke has universal appeal. Most of the time this does tend to differentiate our t shirts from those available on other websites. We like to promote the concept of ‘Wearable Art’. We often get comments such as ‘This design deserves to be hanging on a wall’ or ‘I would buy and frame this t shirt’. Some t shirts that we have printed, such as ‘Autumn Orange’ or ‘Hootin and a Howlin’ or even the eclectic ‘Master of Illusion’ are designs that we are very proud to have printed. We seriously believe that the t shirt designers that design these t shirts are brilliant artists in their own right and that t shirts are another great medium through which their art can get showcased and appreciated by thousands of people across the world. As a t shirt website gets a bit older (CaptainKYSO is around two years old), people tend to slot its designs in a particular category or genre. 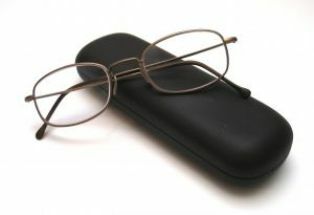 Hence the people who tend to visit the website regularly, also tend to be those that are fans of that particular genre. However, we at CaptainKYSO have made a very clear attempt not to get slotted into any particular category. After all, wouldn’t it be boring if every day you visited a website and saw the same type of designs. One of the things that I think is required in a daily deal website is the ability to cater to an audience of different tastes, likes and cultures. We feel that this is a great advantage that a daily deal model offers t shirt websites and its audiences, and one that CaptainKYSO wants to adhere to, long into the future. The writer of this article, Tarun Shah, is the founder of the t shirt website captainkyso which releases a new t shirt design every weekday by artists from more than 30 different countries. CaptainKYSO offers free worldwide shipping for its t shirts. Though not an unique concept, Daily Deal T-shirts look different at many factors. They blend with the art so finely that it looks unique at its best. Their ideas to design unique t-shirts are great as well.